The number of traffic deaths in the U.S. rose sharply in 2015 and 2016, marking the greatest increase in five decades. Many safety advocates point to distracted driving as one of the primary reasons. 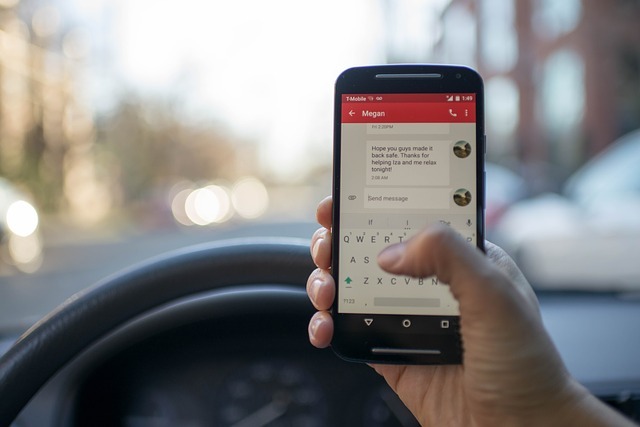 The National Highway Traffic Safety Administration (NHTSA), reports that in 2015 alone, distracted driving was the cause of 3,477 deaths and 391,000 injuries, and texting and driving was the most alarming distraction. Sending or reading a text takes your eyes off the road an estimated five seconds. At 55 mph, that’s like driving the length of an entire football field with your eyes closed. The risks are even higher for young, less experienced drivers. In addition to inexperience, they are also more likely to underestimate the risk of texting and driving. Teens have the highest crash rate of any group in the U.S., and a 2015 study by the AAA Foundation for Traffic Safety found that distraction was a factor in nearly six out of ten moderate-to-severe teen crashes. However, the last few years have shown that this is far from just a teen-only concern, with studies saying that drivers across the board are using their phone on 88 percent of their trips. In addition to being incredibly dangerous, use of cell phones while driving, unless hands free, is illegal in many states, including Massachusetts. No cell phone use while driving. If using the phone becomes necessary, the driver must safely pull over and park first. The driver’s phone is placed out of reach, in the back seat, glove compartment or even the trunk if that’s what it takes to reduce temptation. Drivers who need their phones for directions will program them before driving or will pull over first. In addition, there are apps that allow you to block incoming texts, calls and emails to drivers’ phones while driving. Some send automatic notifications to let senders know you are driving and can’t respond. We know the importance of teaching young drivers how to drive safely. Last year, The Dowd Agencies was proud to sponsor the Distractology Tour in Holyoke to educate teen drivers about the dangers of distracted driving. We encourage all families to talk about this important safety issue and agree on ground rules to reduce risks for everyone on the road. If you have a new teen driver hitting the road, contact us to talk about the coverage you should consider.